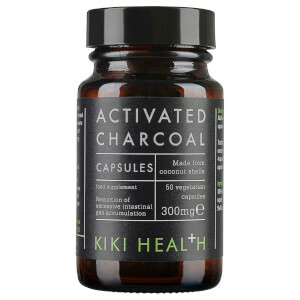 Help the body regain its natural balance with KIKI Health Alkaline Infusion; an effective health supplement that encourages improvements in health, skin, teeth and bones. If the body has been subjected to a poor diet or stress it often becomes too acidic. KIKI Health Alkaline Infusion seeks to neutralise the acid with alkaline minerals; helping to regain a natural and healthy balance. Enriched with Silica, the powder encourages collagen production, which helps to keep skin visibly firm and youthful, as well as promoting healthy hair and nail growth. The powder is also an effective source of Vitamin C, Calcium, Potassium and Magnesium, which ensure the body is functioning well. Mix 2 teaspoons in water or juice. Try mixing into green powdered smoothies or juices to sweeten and add an extra zing. Lemon-Juice Powder, Inulin (34%), Potassium Citrate, Calcium Citrate, Magnesium Citrate, Natural Aroma, Vitamin C, Bamboo Powder and Acerola Cherry Powder.